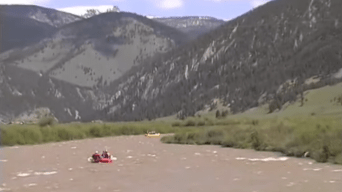 The Gallatin River is a small river that runs through a scenic, rocky canyon. 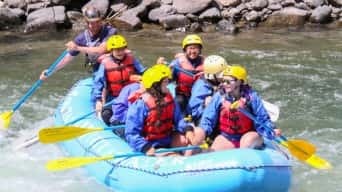 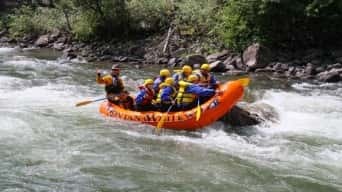 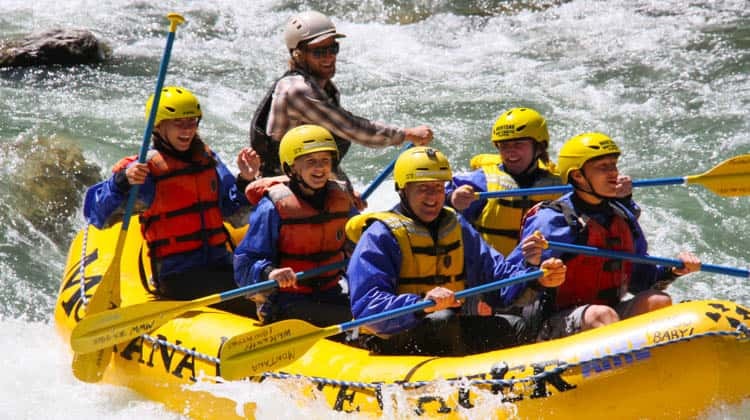 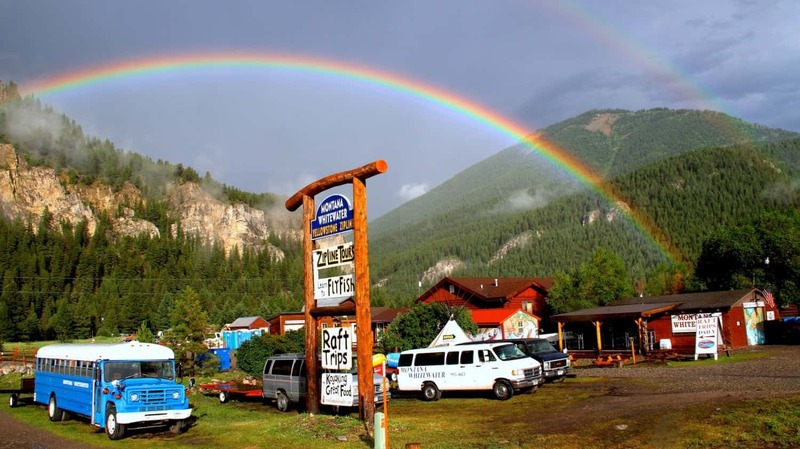 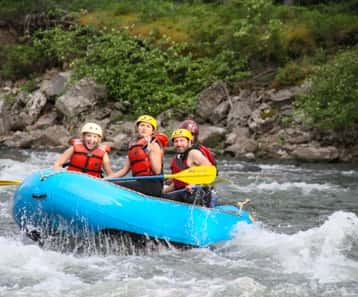 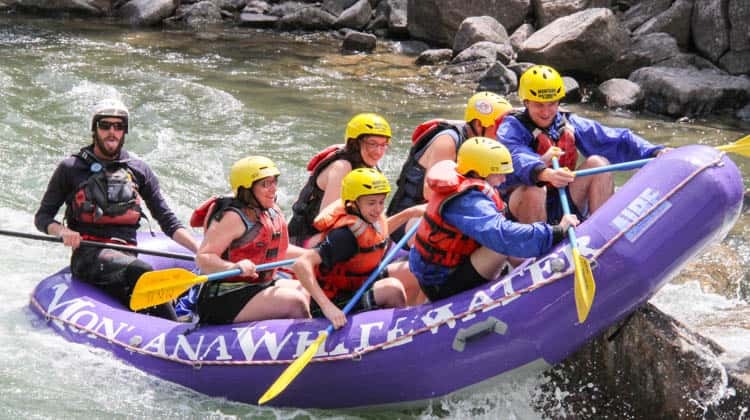 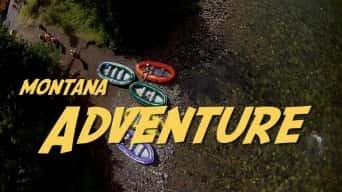 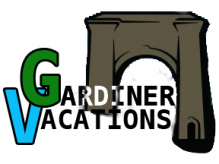 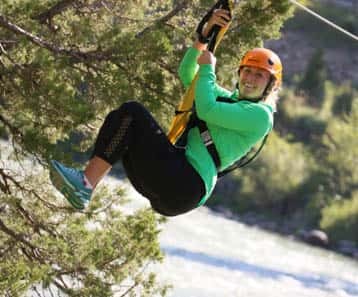 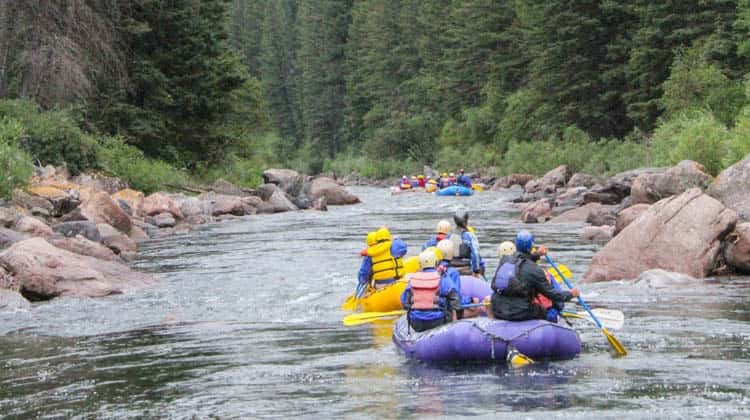 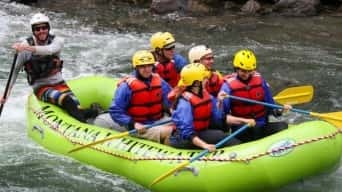 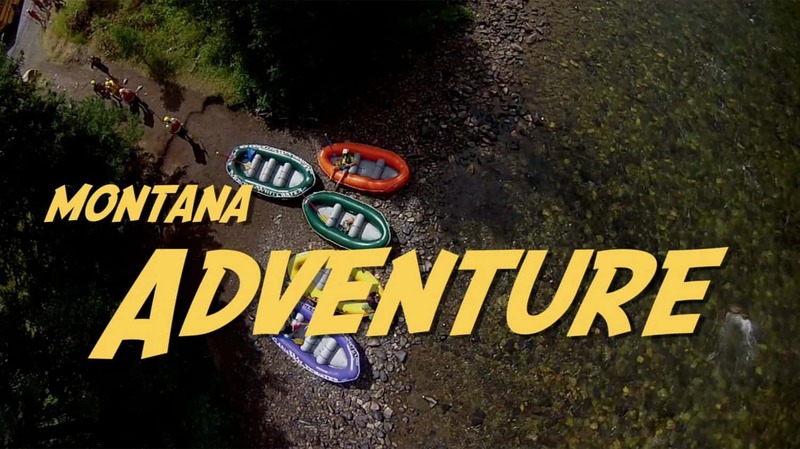 It has fun rapids and is the most challenging commercial rafting available in the Yellowstone Area. Looking for some whitewater while avoiding white-knuckle rapids? 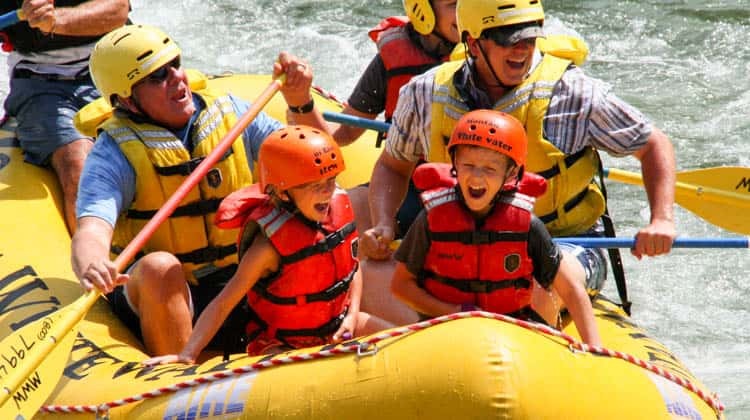 The 3 hour Upper Half Day is perfect for families, first-timers who are timid, or for those who aren’t strong swimmers – especially in June when the water is high. 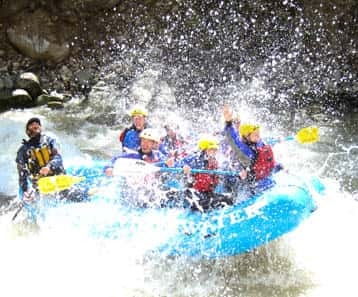 Enjoy fun rapids such as Hilarity Hole, Screaming Left, and Killer Fang. These rapids offer fun splashes and relatively easy navigation without the challenge of long rapids like the Mad Mile. 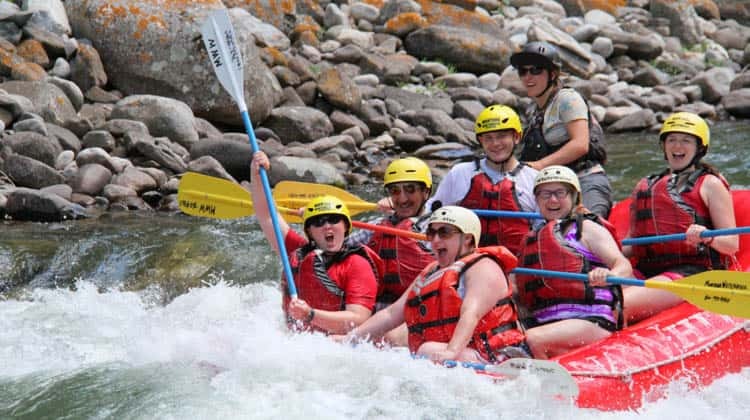 This trip is packed with splashes and smiles!